In a recent poll organized by The National Army Museum in London, the Battle for Imphal/Kohima in 1944 was voted as Britain’s greatest battle ever. The fact that it ranks higher than celebrated conflicts like the Battle of Waterloo or the D-day landings at Normandy speaks volumes of its significance to the British. At a debate, historian Robert Lyman argued that ‘Great things were at stake in a war with the toughest enemy any British Army has had to fight’, hailing Kohima as one of the turning points of World War II. There were 12,600 Commonwealth casualties and 58,000 on the Japanese side in what writer Sir Compton Mackenzie described as “fighting as desperate as any in recorded history”. 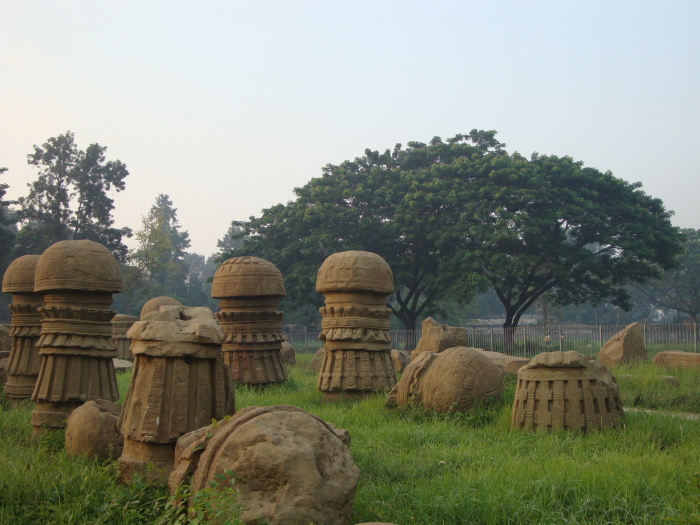 Nearly seventy years after the war, we disembarked at the railway station at Dimapur, the 10th century Cachari capital known for its totemic chessman figures, and bounded on a bus to Kohima. Undulating clusters of tin roofs presented themselves as Angami men cloaked in red striped shawls looked somber like Native Indian chiefs. 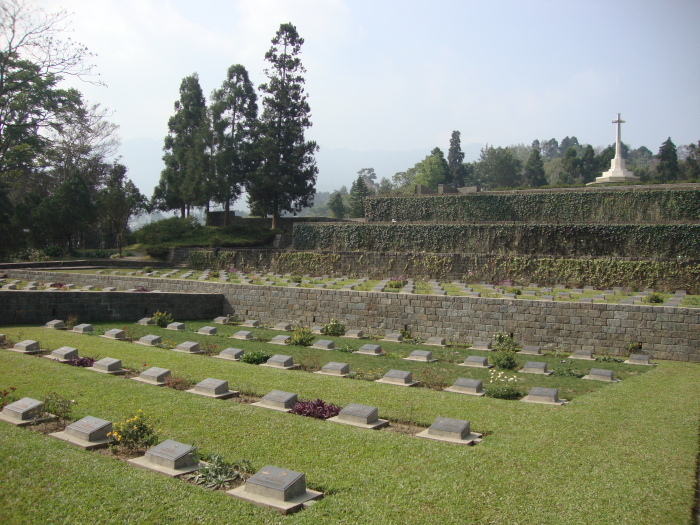 We watched live creepy-crawlies at the Keeda bazaar in the Supermarket, took a walk around the khels (old colonies), visited local landmarks like the Catholic Cathedral and State Museum, until a gate ushered us into Kohima War Cemetery spread across the battleground of Garrison Hill. Row upon row we read names from every corner of England, Scotland and Wales, of young and old, brigadiers and privates, tank-drivers and stretcher-bearers, snipers and signalmen. The terraces led us to the Cross of Sacrifice in a quiet grassy clearing overlooking the valley. Out there in the perimeter of India’s northeast, at 5000 feet in the Naga Hills, Kohima seemed like a charming hill station. Was this really the site of one of the world’s bloodiest battles? 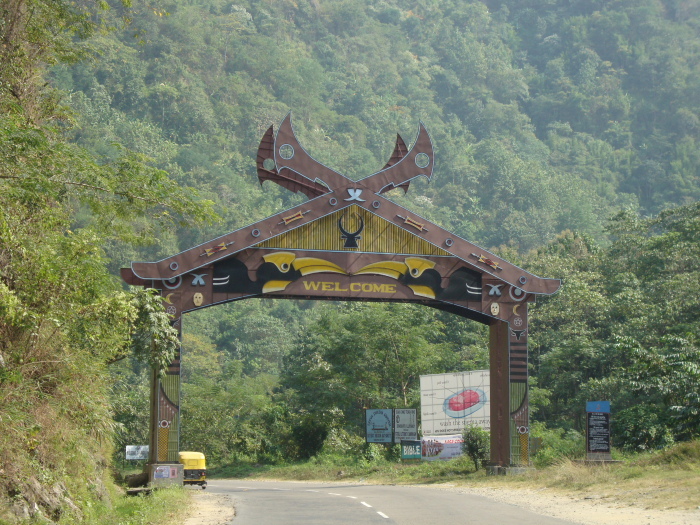 Kohima was strategically located on the only road leading from the supply depot at Dimapur (40 miles northwest) to Imphal (80 miles south). From 1942, the British Fourteenth Army, under the command of General William Slim, had set up tactical bases at Dimapur and Imphal for an eventual offensive into Burma. In early 1944, Lt General Renya Mutagachi of the Japanese Fifteenth Army was ordered to halt British preparations. 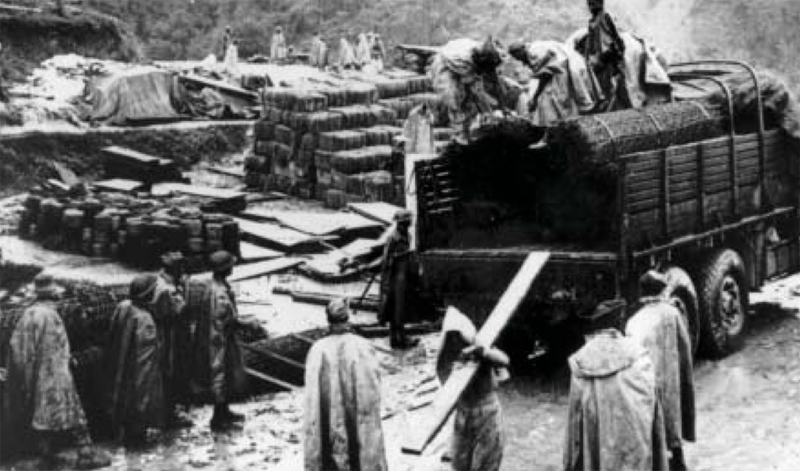 As part of operation U-Go, the Japanese planned to split the 31st Division into three columns that would cut off the Kohima–Imphal Road and surround Kohima. Between April and June 1944 Kohima became the location of a bitter bloodbath in the Second World War. The battle for Kohima was fought in two phases: the siege from 4 April, which lasted for 13 days, and clearing Japanese forces from the area to reopen the Kohima–Imphal road. The second phase stretched from mid-April to 22 June, causing high casualties for both sides. Cut off from Dimapur, the defenders had to rely on daily air supply by the RAF. Despite these obstacles, they withstood the heavy fighting without backing down. The Kohima ridge comprising Garrison Hill, Jail Hill, Field Supply Depot (FSD) Hill, Detail Issue (DIS) Hill and the Deputy Commissioner’s (DC) Bungalow, were used as the main lines of defence. The original DC’s bungalow was destroyed in the fighting, but white concrete lines denoted the boundaries of the historic tennis court. With heavy artillery, mortar fire and infantry assaults, this area saw some of the hardest, closest and grittiest fighting. Officers’ diaries recount how sniping duels seemed like ‘unending snowball fights’, grenades were lobbed at point blank range across the tennis court as if it were a tennis match and how soldiers dug holes like beavers for burrowing or tunneling themselves forward using plates, mugs, bayonets, entrenching tools or anything one could find. The hardships they faced were inconceivable, yet the hostility of the terrain was apparent in the steep slopes and dense vegetation… Decades ago, things would have been worse. Forced to retreat, it was the biggest Japanese defeat in their entire history. 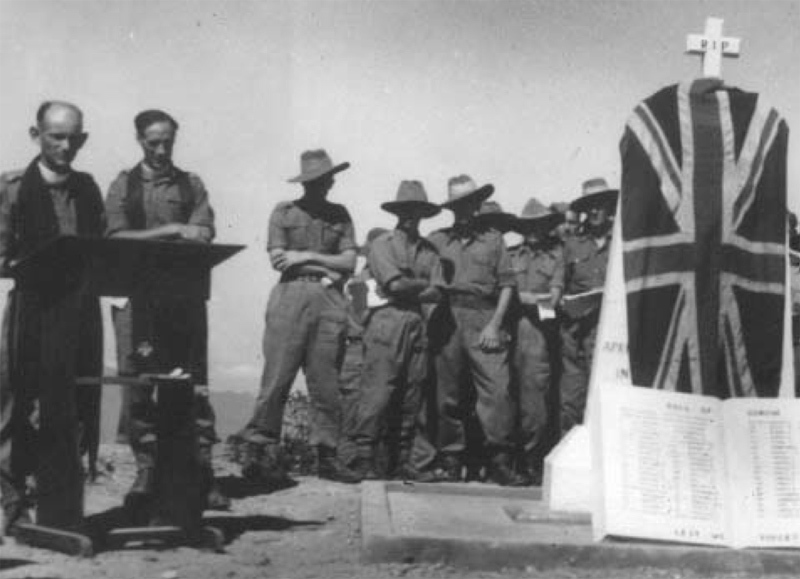 British and Indian troops from Kohima and Imphal met at Milestone 110 on 22 June, formally ending the siege. The fierce hand-to-hand combat in the Battle of Kohima, especially in the garden of the DC’s bungalow, was a defining moment in the Burma Campaign and pivotal in halting Japan’s foray into India. We walked around the terraced cemetery, pausing at a headstone now and then. There were 1420 Commonwealth burials of the Second World War. Some were stark, in the nameless incomplete shock of death itself, others etched in grief by their families and friends. At the highest point of the cemetery stood the Kohima Cremation memorial, commemorating 917 Hindu, Sikh and Muslim soldiers of the British Indian Army cremated in accordance to their faith. 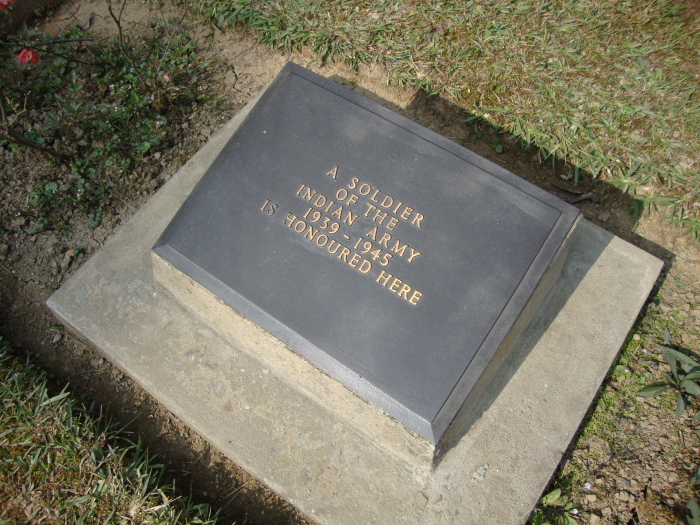 At the base, near the entrance, was a memorial to the IInd Division – a massive stone dragged up by Naga tribesmen, etched with the immortal words renowned as the Kohima Epitaph: “When you go home, tell them of us and say; For your tomorrow, we gave our today”. 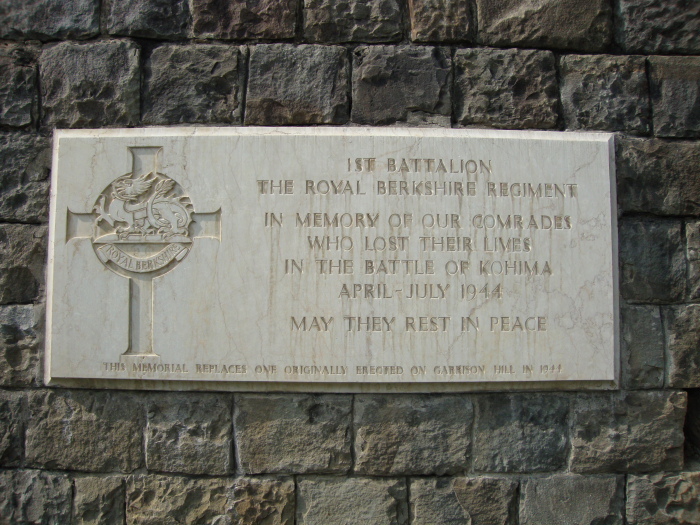 The cemetery also contained memorials to the 1st Battalion of the Royal Berkshire Regiment, 2nd Battalion of the Dorsetshire Regiment, 4th Battalion of the Gurkha Rifles and other regiments. 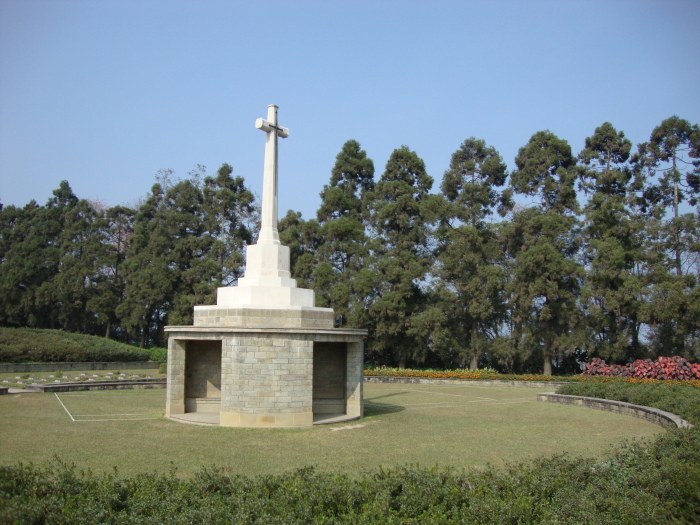 Strewn across Kohima’s landscape were monuments to the Royal Scots at Aradura Spur, the Royal Norfolks on GPT (General Purposes Transport) Ridge and the Durham Light Infantry at Kuki Piquet. 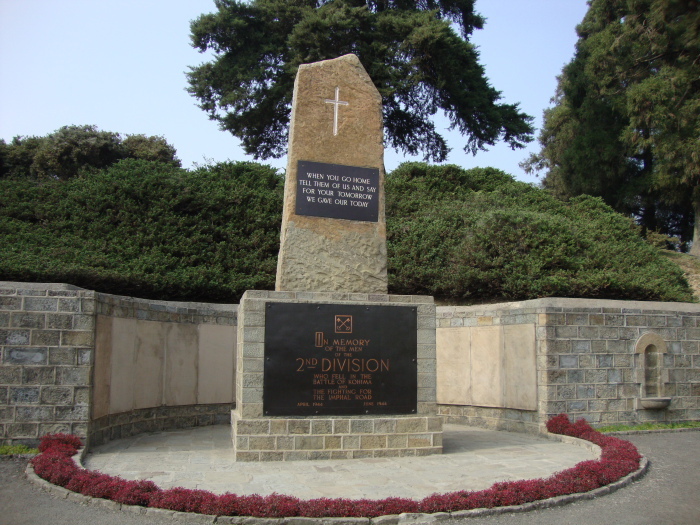 The Kohima War Cemetery is maintained by the Commonwealth War Graves Commission, which looks after 1,179,000 war graves at 23,203 burial sites in 148 countries around the world. In a message ‘to all ranks on the Manipur road’, Earl Mountbatten wrote ‘only those who have seen the horrific nature of the country under these conditions will be able to appreciate your achievements’. He described the war as ‘probably one of the greatest battles in history…in effect the Battle of Burma… naked unparalleled heroism… the British/Indian Thermopylae’. The Battle for Kohima was critical for many reasons. Its implications were immense; its irony, inextricable. Indian troops fought on both sides – under the Allied forces were Jats, Rajputs, Sikhs, Marathas, Gurkhas and others, while on the opposing side leading the Japanese advance were soldiers of Subhash Chandra Bose’s Azad Hind Fauj. Would the possibility of a Japanese-INA victory and unfurling of the Indian flag have prompted the sepoy to switch loyalties and ignite a revolt within the British Indian army? If the eastern offensive through Burma and North East by Japan was coordinated with the German advance through Egypt, Iran and Iraq, could a war on both frontiers have threatened the British Empire? How would an alternate outcome to the war have rewritten world politics? The questions rose as we trod gently, realizing how the future of great empires lay rooted under the grass below our feet. Some answers we’d never know. Perhaps, no one can comprehend what it must have been like. Perhaps, the ghosts of war are meant to waft in memories of our consciousness. The words of Kohima war veteran Major Gordon Graham of the Cameron Highlanders will return to haunt us. When he revisited the battlefield in 1954, he recorded his feelings in a moving tribute ‘Memories of Kohima’. “The trees are all young on Garrison Hill, and in Naga Village children are playing. The wet earth and sprouting shrubs have the same spring-fresh smell. And there is no stench. Grass-filled fox-holes still mark forgotten remains and some rusty ration tins and leather straps have escaped, as too worthless to pick up, a decade of scavengers. Beneath the Hill, the graves… in orderly, impersonal, endless rows. In this geometrical panorama there is no heartbreak, no rebuke, no regret. It is a design of peace, the pious peace that follows war, the repulsive peace of ‘Never Again’. It is the mute attempt to express the inexpressible by those who, helpless, are left behind. It has the same conscious inadequacy as the ‘Remarks’ column in the Visitors’ Book, where a sudden embarrassment catches the pen which has written smoothly the name and address and then stumbles on to an anti-climactic ‘Very impressive’ or ‘A fitting resting-place for heroes’. But one ex-soldier had written in a flash of perceptiveness, ‘I wish my name were here’. Authors: Anurag Mallick & Priya Ganapathy. This article appeared in the June 2013 issue of Rail Bandhu, the in-train magazine of the Indian Railways. 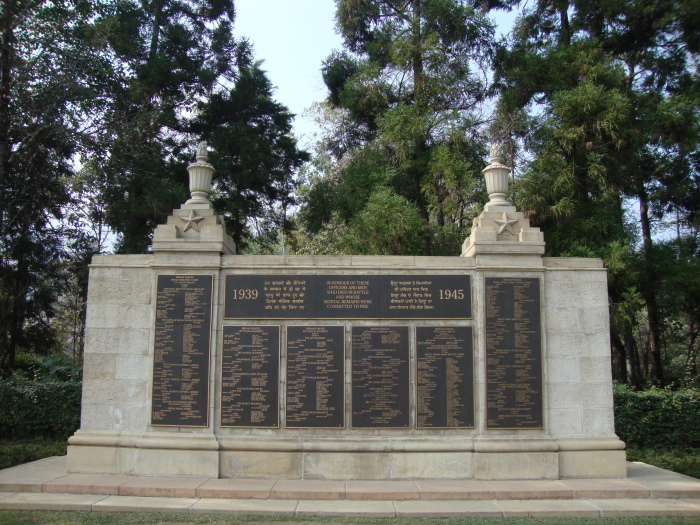 Is there any reference about a Coorg battalion at this War Memorial?